Even the most sober-minded political reporter is allowed the occasional frivolity, and with that license in mind I offer up this photo from my recent travels in Texas to report on the life and times of Rick Perry. 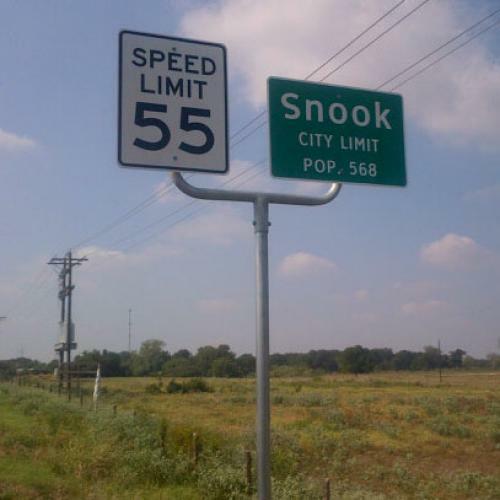 This delightfully named municipality is just west of College Station, Perry's college stomping grounds. My peg -- because even frivolity needs a peg -- is that Perry may now have an opening with the Snooki vote, given that her nemesis Chris Christie has sided with Mitt Romney; and that the Snooki tax was up for official discussion today at the IRS. Hey, that's two pegs!